On Maundy Thursday, which was also the Spring Equinox, the Rise and Shine breakfast show team went on strike. They took industrial action in support of their brothers and sisters in the ASLEF Train Drivers' Union who were mounting a four day walkout in protest at a 4.5% wage offer. Cue a classic tongue in cheek commentary on industrial relations with a brass band and cheering chorus. I would say more, but I am working to rule. Managing director Stewart Palmer said: "We regret the significant disruption this will cause to our passengers and we reassure them that we will do everything we can to avoid this strike taking place. "We are very disappointed that Aslef has taken this decision as we believe that this is a very good offer in the current economic climate." 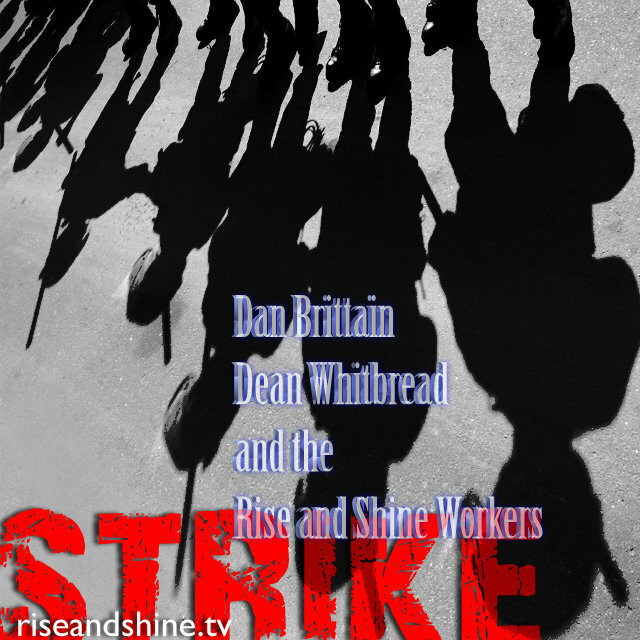 Written and performed by Dan Brittain, Dean Whitbread with complete solidarity from the Rise and Shine audience. Produced by Dean Whitbread, a rank and file member of the MU.